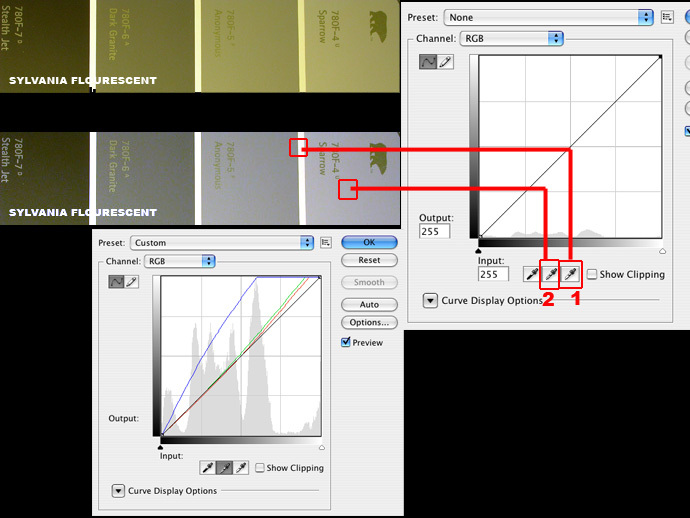 (2) Measure the color using the INFO Palette. In this case notice that the level of BLUE is low by about 67 units. (Gray is always three equal numerical values). 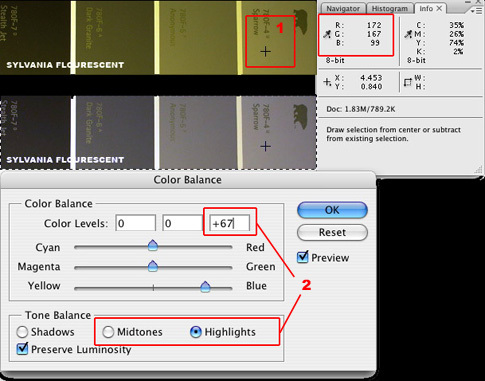 Go to the Color Balance control and add 67 units, try it in the highlights, and midtones ... finish in the shadows if necessary. (3) Use the Curves... tool and then use the eyedroppers on at the bottom. The right eyedropper sets the WHITE point, and the middle eyedropper sets a mid gray. 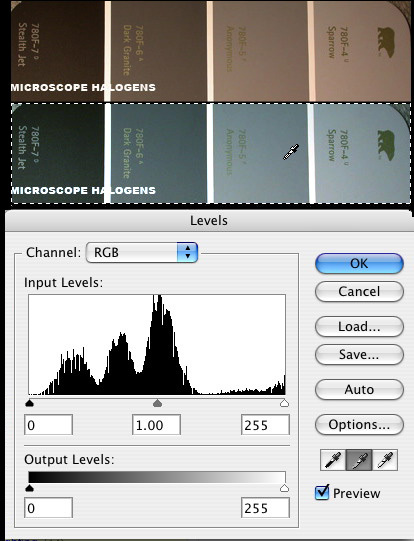 They will auto adjust the curves tool by adding or subtracting the RGB values needed.